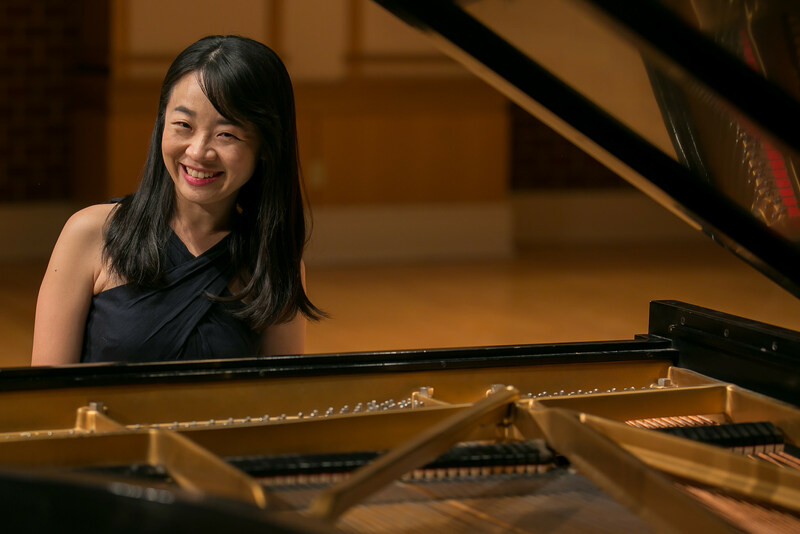 Co-Ko is a solo piano program that explores the topic of identity and personality through various kinds of music written by Korean composers. There are many prominent Korean composers actively writing in Europe, U. S. A., and in Korea. I have worked with several living Korean composers and have been always fascinated by the variety in their styles and artistic goals. With different educational backgrounds, current positions, ideals, and aesthetics, their music represents a vast scope of current classical music. Some composers actively examine their “Korean-ness” in their music by borrowing musical elements from existing Korean music. Some intentionally avoid the issue and try not to compose something that would sound Korean. Some are more influenced by the aesthetics of the European contemporary music. In the fall of 2017 I received a score (“Co-Ko. – un poco Loco” for piano solo) from Texu Kim, who is one of the most active and visible composers of his generation with degrees from Seoul National University and Indiana University. It has three movements exploring past and current trends of Korean music, including folk and popular/commercial. This piece gave me the inspiration to explore further what I have observed as a performer based in the U. S. A., and develop these experiences into a meaningful concert experience. I have reached out to several composers and have gathered many wonderful pieces that show the spirit and vast scope of current Korean contemporary music. I am very happy to present a program that includes Unsuk Chin, winner of the Grawemeyer and Sibelius awards, and Shinuh Lee, professor of composition at Seoul National University and one of the leading composers in Korea, who will be present at the concert. The program will also feature the two prominent Bay Area composers Hyoshin Na and Jean Ahn.